The new FiveO choses to present at Prolight & Sound a full set of speakers, subwoofers and mixers. This series offers 4 models: 2-6 mic channels, 2-4 stereo channels, with/without FX, with/without MP3 player, aux pre and post fader, 3-band EQ on mono inputs and 2-band EQ on stereo inputs. A compressor is provided on top models for a total control of the inputs. New FX characterize this new FiveO F Mixer Series. 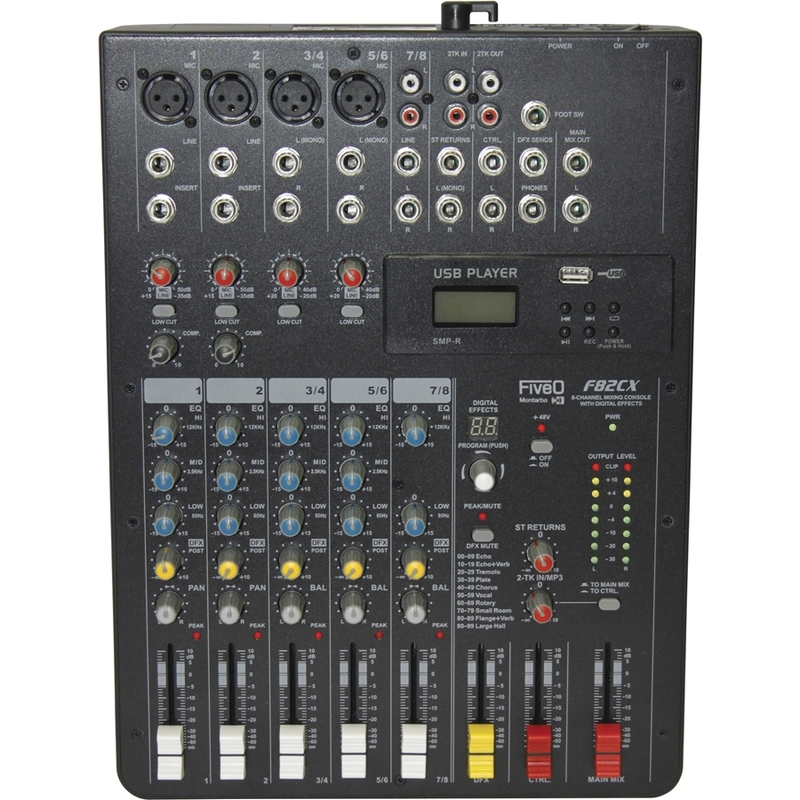 The FiveO F62 is a professional compact mixer to give you great quality and better reliability than ever before You will get the smooth, accurate more natural and open sound from this apparatus. and it is really ideal for gigs, recording and fixed PA installations. 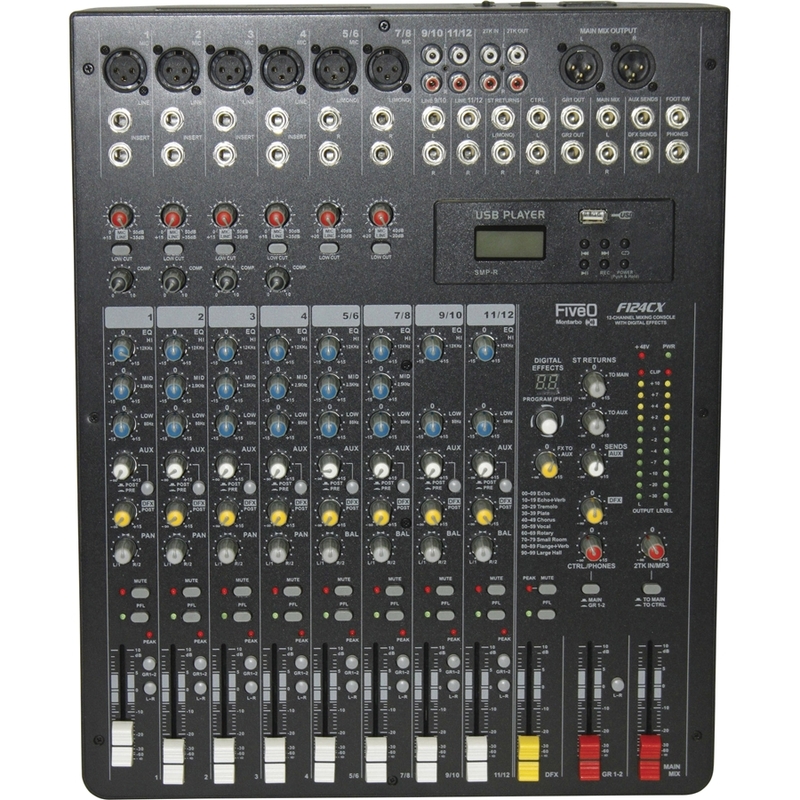 The FiveO F62X is a professional compact mixer to give you great quality and better reliability than ever before You will get the smooth, accurate more natural and open sound from this apparatus. and it is really ideal for gigs, recording and fixed PA installations. 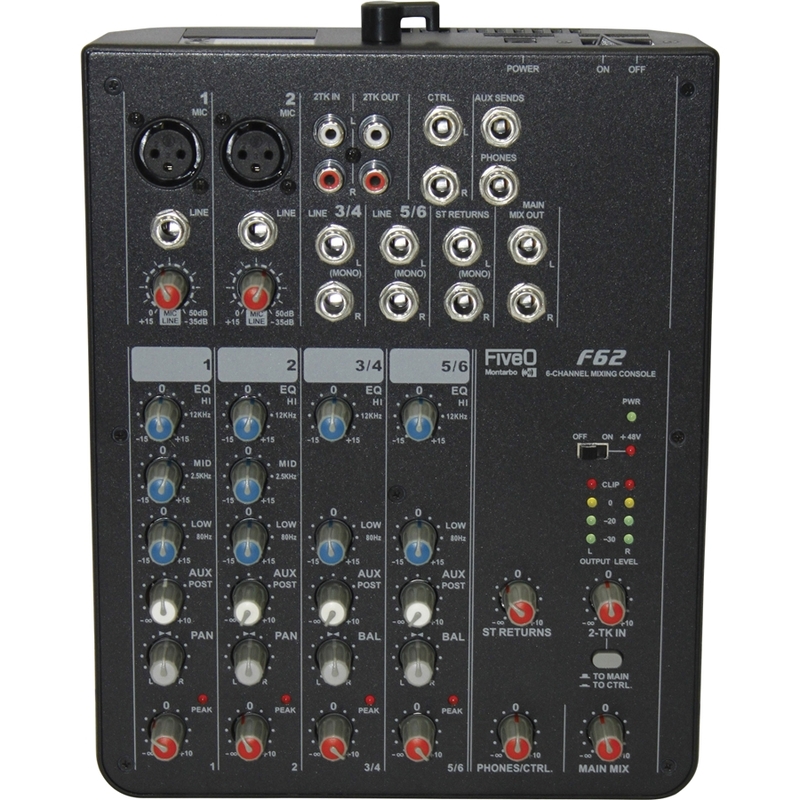 The FiveO F82CX is a professional compact mixer to give you great quality and better reliability than ever before you will get the smooth, accurate more natural and open sound from this apparatus and it is really ideal for gigs, recording and fixed PA installations. 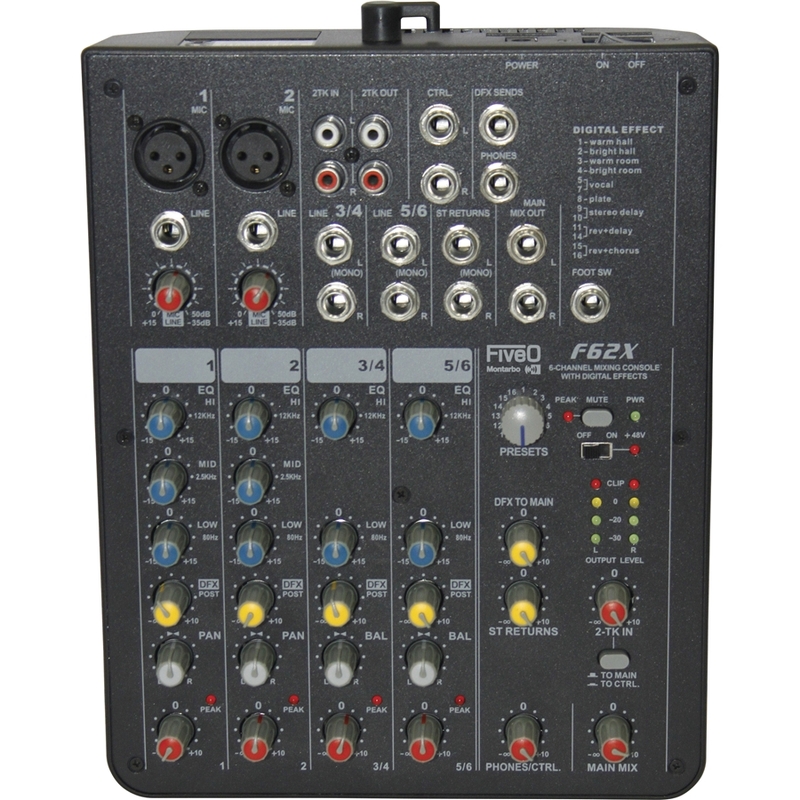 The FiveO F124CX is a professional compact mixer to give you great quality and better reliability than ever before You will get the smooth, accurate more natural and open sound from this apparatus. and it is really ideal for gigs, recording and fixed PA installations.